In part 1 I wrote about setting up and configuring the Veeam management pack. Now in this post I would like to give you some additional information how it is going to look like in the monitoring pane in SCOM and also some ideas what is being monitored. I know it is maybe not a usual way but I just took screenshots of the entire views which are delivered by the management pack. Because the description of each view it gives you a very good impression what it is all about. The picture are sorted in the way they appear in the SCOM console. Next I saved the entire vCenter-Topology view as picture and loaded it up to my skydrive. There you get an impression of the discovered objects. Download the picture here. Because this management pack uses the native CIM/SMASH repository from VMWare it gets very detailed information even about different sensors e.g. fans, temperature without needing an agent. From my experience there are management packs on the market which are just crap and others which offer a real benefit in solving a problem. 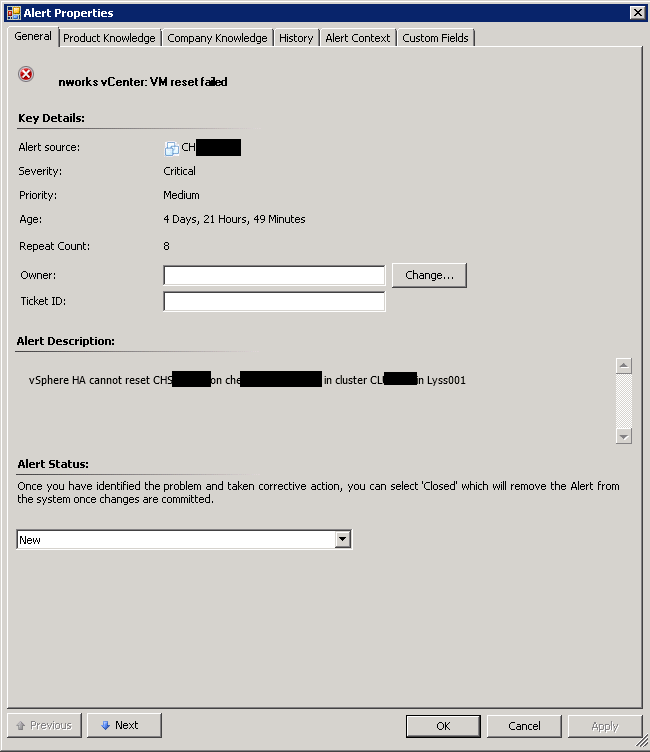 All the alerts from this management pack I saw so far offer a very good product knowledge which contains also links to the nworks vCenter Events Online Dictionary and VMwares online documentation. Both are additional online services to provide some more help. 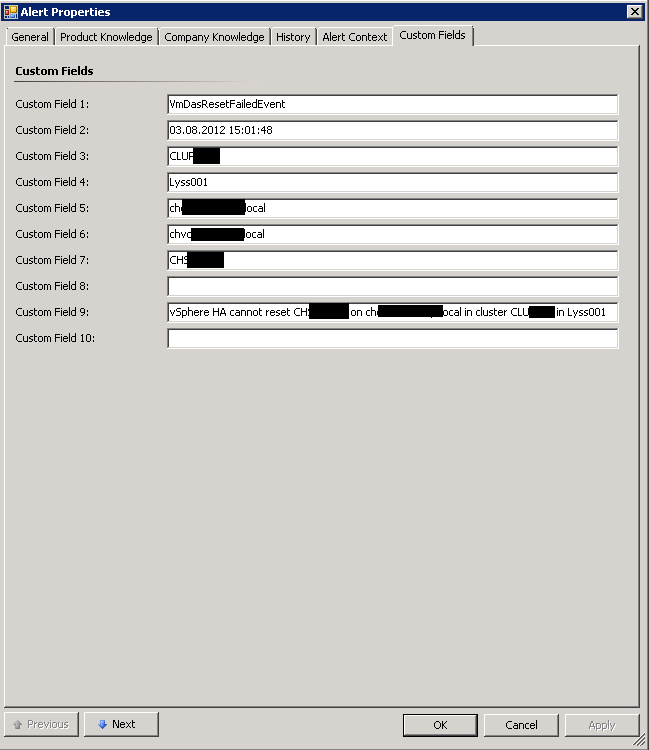 It makes also use of the Custom Fields to publish information about each alert. You could make use of this information e.g. in views to select just certain alerts or in notification subscriptions. At last there are a whole bunch of reports which offer even more useful information about your infrastructure. 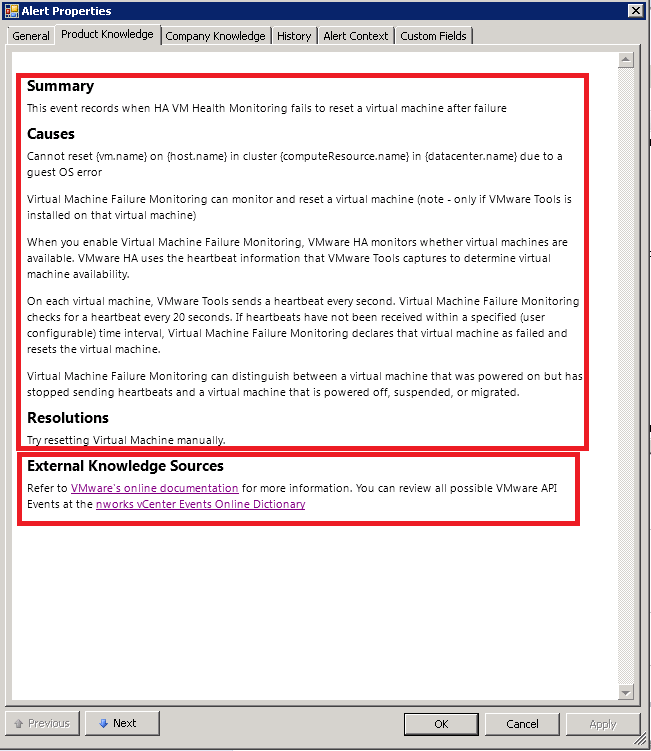 As an example you could run the “Virtual Machines. 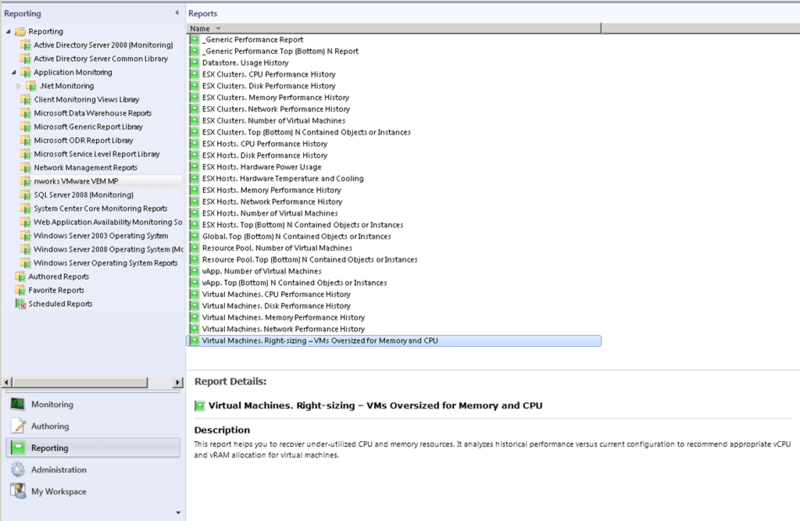 Right-sizing – VMs Oversized for Memory and CPU” report which analyzes past performance data versus your current configuration and gives you suggestion how you could optimize your VMs. Let’s say, all your VM’s have 4 CPU’s allocated but they are just 20% in average use over a certain time. In this case it might be a good idea to reduce the CPUs and free up some processor resources. This report as an example would list all the VM which you should optimize for memory and CPU and makes suggestion what the right sizing would be. This is just a brief overview to give an impression to a great management pack which is for free!